On Saturday afternoon, the four-day search for a missing 13-year-old Blacksburg girl came to an end. At approximately 4 p.m. Saturday, Virginia State Police located the remains of Nicole Madison Lovell on Route 89 just inside in Surry County, N.C.
At this time, the Blacksburg Police Department is working closely with the North Carolina State Bureau of Investigation, FBI Charlotte, N.C., Field Office, and the North Carolina Medical Examiner’s Office as the scene is processed for evidence. Nicole’s remains will be transported overnight to the Office of the Medical Examiner in Roanoke, Va., for autopsy and examination. Late Friday night (Jan. 29), the investigation led to David E. Eisenhauer, 18, a Virginia Tech student residing in Blacksburg. The Columbia, Md., native was charged Saturday morning with one felony count of abduction. Once Nicole was discovered and in consultation with Montgomery County Commonwealth’s Attorney Mary Pettitt, Eisenhauer was charged later Saturday with first degree murder. He continues to be held without bond at the Montgomery County Jail. 18-year-old Maryland man is in police custody on a charge of felony abduction in relation to the ongoing investigation into the disappearance of a Town of Blacksburg teenage girl. 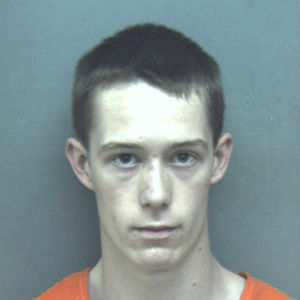 David E. Eisenhauer, 18, a Virginia Tech student residing in Blacksburg. The Columbia, Md., native was arrested without incident early Saturday morning (Jan. 30) at his residence on the Virginia Tech campus. Eisenhauer is being held without bond at the Montgomery County Jail. Investigators are still asking for the public to come forward with any information concerning Nicole and/or Eisenhauer is encouraged to contact the Blacksburg Police Department at 540-9611150.